ITW will launch TWENTY4, a smart horology timepiece that is equipped with an intelligent smart Bluetooth technology. Be active, informed and on time. Dubai based Start Up Company ITW is in final stages of launching a revolutionary smart luxury timepiece with an old minimalistic design feel. An analogue smart watch targeted at consumers who want a pure minimalistic traditional watch that encourages a healthy lifestyle without sacrificing the style and fashion. The revolutionizing brand TWENTY4 timepiece is a style rebellion that is designed without any compromise. And that brings the spirit of traditional luxury watchmaking skills with the integration of intelligent wearable technology that works independently and is also synchronized with the Swiss Quartz Module. Motion Control, Auto time sync is just two of the many unique functions that have been incorporated in the watch’s intelligent module. 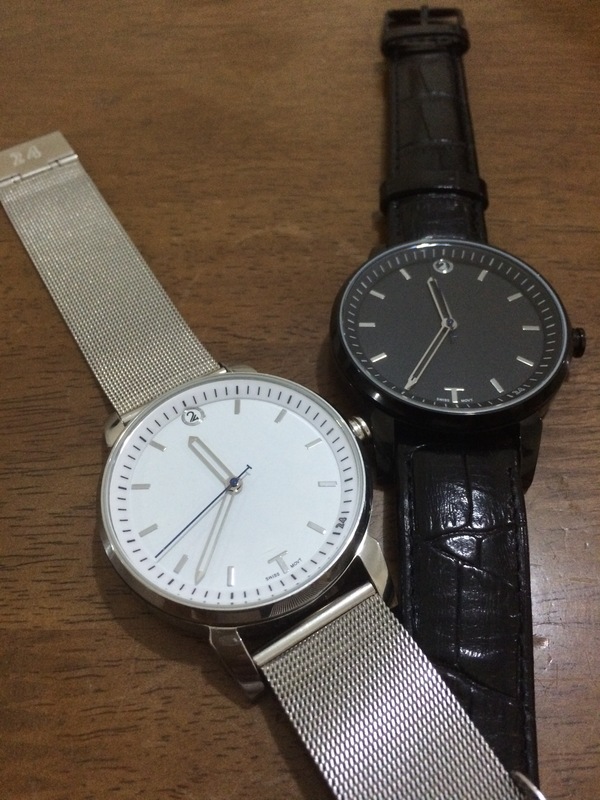 Brand TWENTY4 is first a classic analogue timepiece and second a functional intelligent timepiece. All the Smart Watches and Classical Watches have their own merits and demerits. Brand TWENTY4 takes on the cons of the current Smart Watch available in the market and made it better. 1. Just touched down after a long flight? Simply and conveniently sync the time from the previous time zone to the current time zone by just a single click on brand TWENTY4 app. 1. Reject a call, busy in an important meeting or hanging out with friends or having dinner with family? Casually shake your wrist to reject the call. 2. Remote Shutter for Photography, click a selfie or a groupie with the motion gesture. Take photos remotely by controlling your phone camera with the brand TWENTY4 watch. Just set up the tripod, smile and shake your wrist! Never miss a happy moment. You can also use the brand TWENTY4 smart crown as a remote Shutter key for photography. 1. A healthy body contributes to a healthy mind. Stay on top of your fitness by keeping track of your daily activities. 2. Sedentary alert function, a silent alarm reminder to nudge us to move or to flex your muscles. 1. Brand TWENTY4 timepieces have the ability to benefit our work and daily lives like never before. Receive call and message [sms/social app] notifications in real time and directly into your wrist. This reduces noise pollutions and no more annoying ringtones. 1. Anti Lost, when heavily engaged in fast paced and stressful work or activity, its not uncommon to forget and leave your phone and walk away. The watch will vibrate and your phone sounds an alarm once your outside the Bluetooth range. 2. Find my phone, forgot where you left your phone no problem, just push the smart crown (twice) on brand TWENTY4 watch and the phone will sound an alarm even in the silent mode. 1. iOS or android smart phones can be easily paired with brand TWENTY4 app using blue tooth technology . 1. Use NFC e-card to save contact details. The client’s contact details will be auto saved to the phone as soon as the watch comes in contact with the client’s phone. Convenient and environmental friendly. 1. No more wires, no more downloads, using the latest technology brand TWENTY4 updates by OTA. Sit back and relax all the updates are done automatically. 1. Wake up to the soft gentle vibration from brand TWENTY4 timepiece. 1. All notification will be highlighted and the timepiece will vibrate to inform you. The Icon is placed beneath the watch dial. You can turn the notification types on or off and be alerted on the important ones while ignoring the less important ones. As of today the rechargeable battery life of smart watch is any where from one day to seven days or a month. Brand TWENTY4’s 270 mAh battery has a life of 240 days. Like any normal quartz watch just replace the battery and continue to use. No need to worry about charging your watch or carrying wires/cables etc. Currently almost all of the smart watches are digital watches, which gives you options of selecting varied digital analogue dial faces. Brand TWENTY4 has the classic analogue design, which is powered by a Swiss Quartz Module. The case is made out of all stainless steel [316 L], Sapphire Crystal glass, Water Resistant to 3 ATM. Brand TWENTY4 comes in 3 different case colors, Steel, Black & Rose Gold plated, with matching metal mesh, metal bracelet or leather straps. The approximate retail price of the watch is to be between US $ 150 and US $ 200.